8. In besto wing year-end awards, the CHJA reserves the right to combine performance divisions that are normally split during the show year in order to ensure a minimum of six year-end award recipients. For example, Amateur Owner Hunters (under/over 35) and Adult Hunters (over/under 35) could be combined if recipients were fewer than 6 in either of the uncombined divisions. 2. 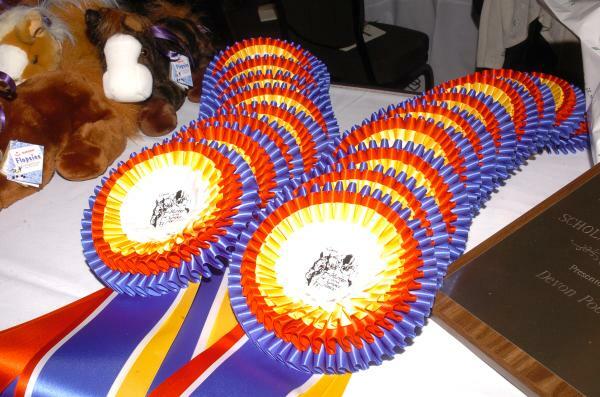 Ribbons won in any show in Model Classes will count 1/2 point value for year-end awards but will only count if the entry competes in all Classes over obstacles and under saddle offered in that Division. 3. Each Hunter/Jumper class will stand on its own with a minimum of three entries needed to compete and complete (show and place) the class for points to be awarded. 4. Basic points are increased by point multipliers which are determined by the number of entries that complete the class. 5. Hack classes in hunter divisions will not count for points, even with a minimum of three completing entries if there is not at least one over fences class in the division with the m inimum three entries competing and completing. 6. Bonus points will be awarded for Division Champion (10 points) and Reserve Champion (6 points). These bonus points are the same regardless of the number of entries completing the first class over fences. Only the points from CHJA recognized classes count in determining the Division Champion and Reserve Champion. 7. Divisional Championships and Reserves will not be awarded if there are not a minimum of two over fences classes and a hack in hunters, or three jumping classes in jumpers, which have three entries compete and complete each class in the division. 8. In the event of a tie for Champion or Reserve Champion after points are tabulated, the rider earning the most points over fences will be awarded 10 points for a Championship or 6 points for a Reserve Championship. If there are an equal number of points over fences, the riders will remain tied and each rider will be awarded 10 points for a Championship or 6 points for a Reserve Championship. 2. 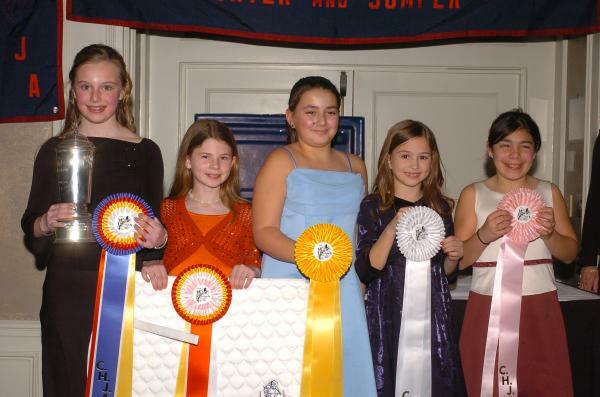 Year End Equitation Awards will be made to the following groups: Short Stirrup; Children's Equitation, Junior Equitation; Pre Children's Equitation, Modified Adult Equitation; Adult Amateur Equitation. 3. Leadline-All competitors who have accumulated 10 points in leadline classes will be eligible for a year end recognition award. 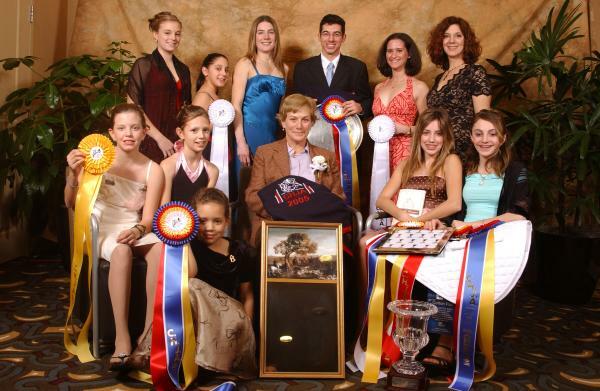 -Riders obtaining 10 points are still eligible to compete in these leadline classes. -Classes in this division are not subject to the points multiplier for number of entries, so all placings will receive single points. -Only (1) entrant is required to complete in and complete (show and place) the class for points to be awarded. -There is no minimum show requirement for this division. 4. Walk Trot Equitation-All riders who accumulate 30 points in recognized Walk Trot Equitation classes will receive a year end recognition award. -Riders obtaining 30 points are still eligible to compete in these walk trot classes. -Bonus points will be awarded for Division Champion (10 points) and Reserve Champion (6 points) provided that there are 3 recognized Walk Trot Equitation classes which have three entries compete and complete each class in the division. 5. Each Equitation class will stand on its own with a minimum of three entries needed to compete and complete (show and place) the class for points to be awarded with the exception of Leadline. 7. Bonus points will be awarded for Division Champion (10 points) and Reserve Champion (6 points). These bonus points are the same regardless of the number of entries. 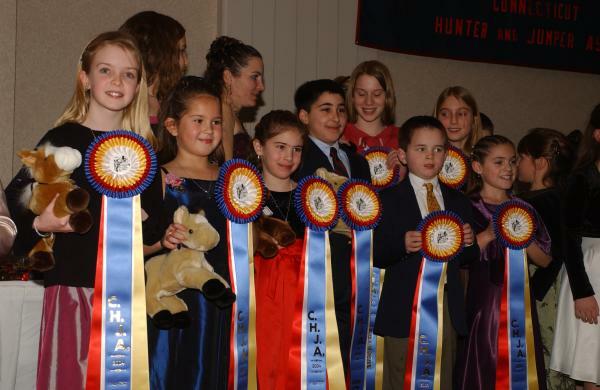 Only points from CHJA recognized classes will count in determining a Division Champion and Reserve Champion. 8. Divisional Championships and Reserves will not be awarded if there are not a minimum of two over fences classes and a flat class which have three entries c ompete and complete each class in the division. 11. In the event of a tie for Champion or Reserve Champion after points are tabulated, the rider earning the most points over fences will be awarded 10 points for a Championship or 6 points for a Reserve Championship. If there are an equal number of points over fences, the riders will remain tied and each rider will be awarded 10 points for a Championship or 6 points for a Reserve. 1. The Show Year runs from December 1 through November 30. 2. 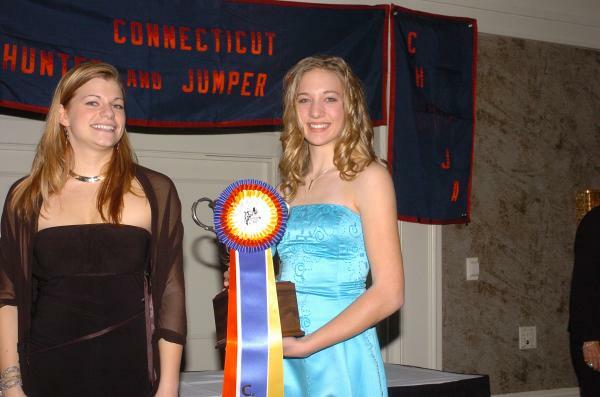 Equitation Classes award points to the rider. The rider must be a Member of CHJA. 3. Hunter and Jumper Classes award points to the horse/pony. The horse/pony must be registered with the CHJA, and the owner/lessor must be a Member of the CHJA. 4. A minimum of three entries must complete a Class if points are to count with the exception of Leadline and Walk Trot Equitation. 5. Only CHJA Recognized Classes count for CHJA points. 6. Bonus points earned as Champion (10 points) or Reserve Champion (6 points) are the same regardless of the number of entries. 7. All Class points are based on the number of entries that complete each class with the exception of Leadline, Walk Trot and Medal Finals Qualifying classes which do not have point multipliers applied to them. 8. Points become final 30 days from the date they are posted and can't be changed. Number of riders in each class who complete the Class. Your placing in each Class. Many competitors keep a copy of the prize list. Compare your records to the point standings updates on the CHJA web site. Remember that the Show Secretary has 10 days to get the results of a show to this office. There is a lot of work to be done before results are sent. She must verify all of the results against the judges cards, make copies of the show for all of the organizations, verify the rider's and owner's names and membership numbers, prepare Medal Class results and fees, balance the receipts and make sure all new member applications for the various organizations are correct. At some shows, the results must be prepared for 6 or 7 organizations! Once the results are received by this office the show is usually posted within 1-7 days. 1. Look at the list of Approved Shows to see what shows have been included in the most recent points update. The date the show was posted is indicated under "Date Posted". Remember that points become final 30 days from the date they are posted and can't be changed. If the points from a show are "Final", it is indicated next to the show as well. 2. Look up the show you are checking points for to see if there are any special notations about any of the classes that were run. 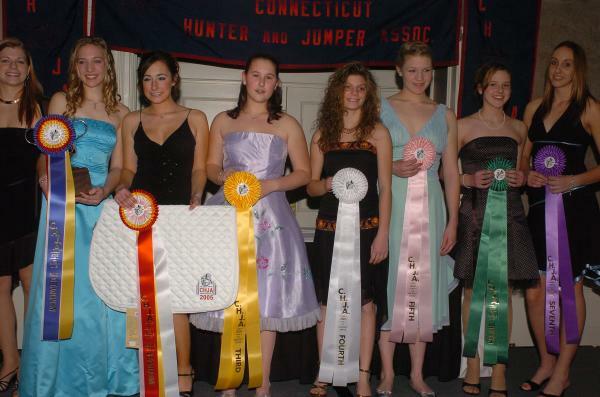 There may be classes that were not CHJA recognized or didn't count because there were not enough entries or CHJA members competing in or completing the class. There may also be a question about the results of a class. In that case the show will be posted except for the class in question. 3. Check your points frequently and be familiar with the point values.